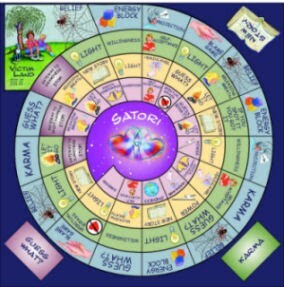 I am a Satori Game Master, meaning I facilitate the Satori game created by Colin Tipping, founder of Radical Forgiveness and Radical Living. Playing this game is a fun way to heal from a past pain. The energy exchange for me to facilitate the game is $40 per player. Warning: Feelings most likely will come up, this is a GOOD thing and very healing, you will definitely be shifting and releasing stuck emotional pain in your body. I’m there to support you and hold the space. People play this game and feel as if a weight has been lifted off of their shoulders and quite often miracles happen in the coming days. Spirit is definitely playing with us and we are always taken care of in a loving way. Contact me if you would like to book a date or to discuss if this game is right for you!